Lupus, or systemic lupus erythematosus (SLE) is an autoimmune disease that can affect many areas of the body, including the skin, joints, kidneys, brain, and other internal organs. It can be mild or life threatening, and occurs when the body’s immune system attacks healthy tissue. The cause of lupus is still not known, though research has shown that women are affected at a ratio of 9:1 to men. 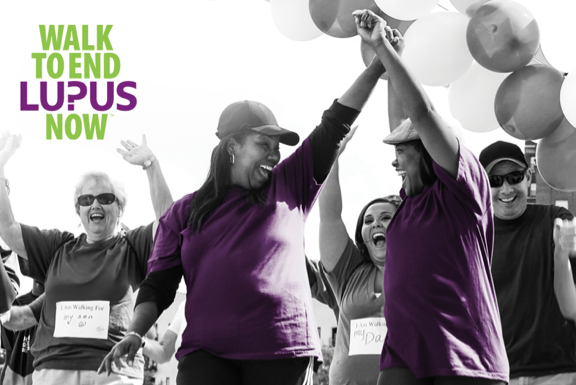 Young women, African Americans and Asians are more likely to be affected by lupus. LFA aims to solve the “cruel mystery” of lupus by funding research initiatives, creating programs for those suffering from and diagnosing lupus, educating the public about lupus, and supporting all those who are or have been affected by lupus. Even though we know about lupus and its symptoms, awareness of the disease is not very high. And despite research advances, it can still be life threatening. Most prevalent in young women, lupus recently claimed the life of Alexandra “Sasha” McHale, the 23-year-old daughter of Houston Rockets coach Kevin McHale. According to LFA, at least 1.5 million Americans have lupus, with about 16,000 new cases reported annually. LFA signature fundraising events include Walk for Lupus Now and The Butterfly Gala.